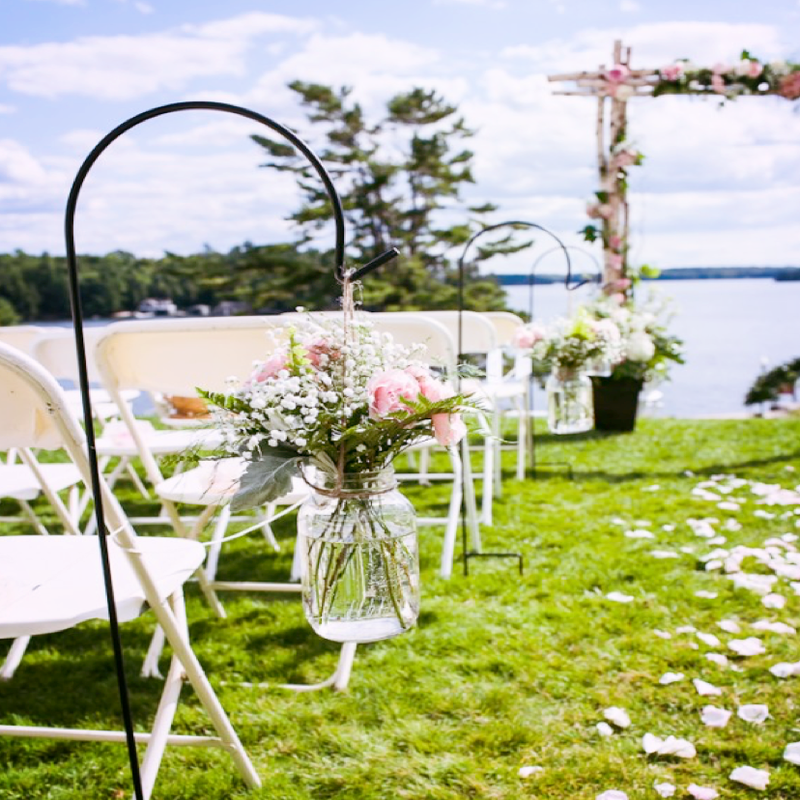 Garden weddings can make for the most elegant of settings. Though using vintage style décor sets the tone quite well, there are many ways to incorporate a more modern touch. With a variety of color schemes, you can choose to add a more stand out design, or stick with classical vintage ideas. 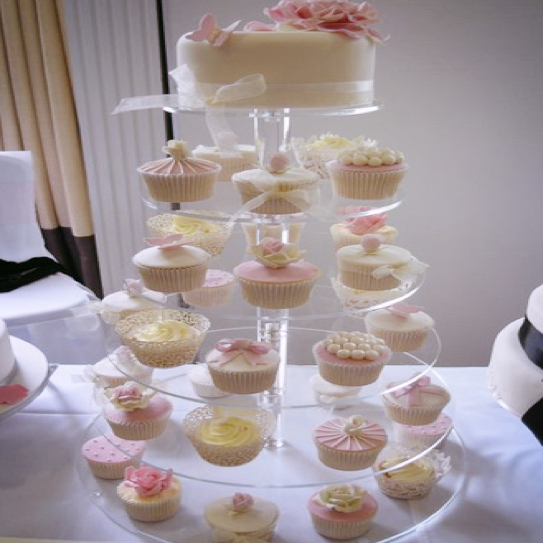 Looking through the following will provide you with the perfect insight to make decisions towards your most awaited and cherished day. To keep that vintage look, wear a lace dress. If you’re aiming for something subtler, wear a simple dress with a lace veil or flower piece in your hair. Suspenders or a beige/taupe colored suit really set the scene. Lighter colors, such as light pink or taupe look best. If the bride’s dress is simple, add lace to the bridesmaids for more texture. 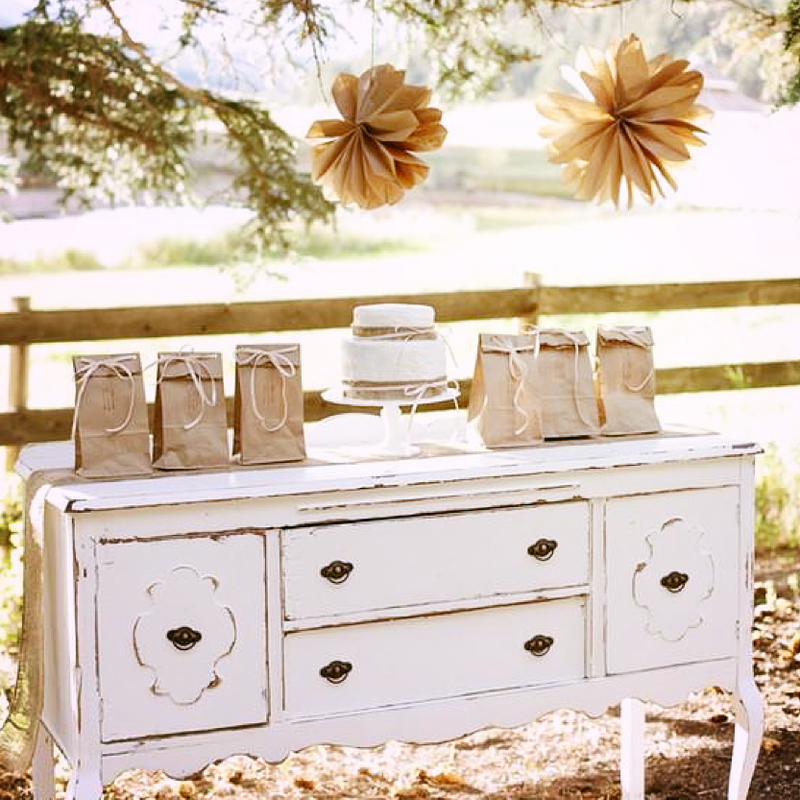 A garden wedding presents the perfect opportunity to utilize your surroundings. With so many trees, you can hang different decorations to create that magical setting. 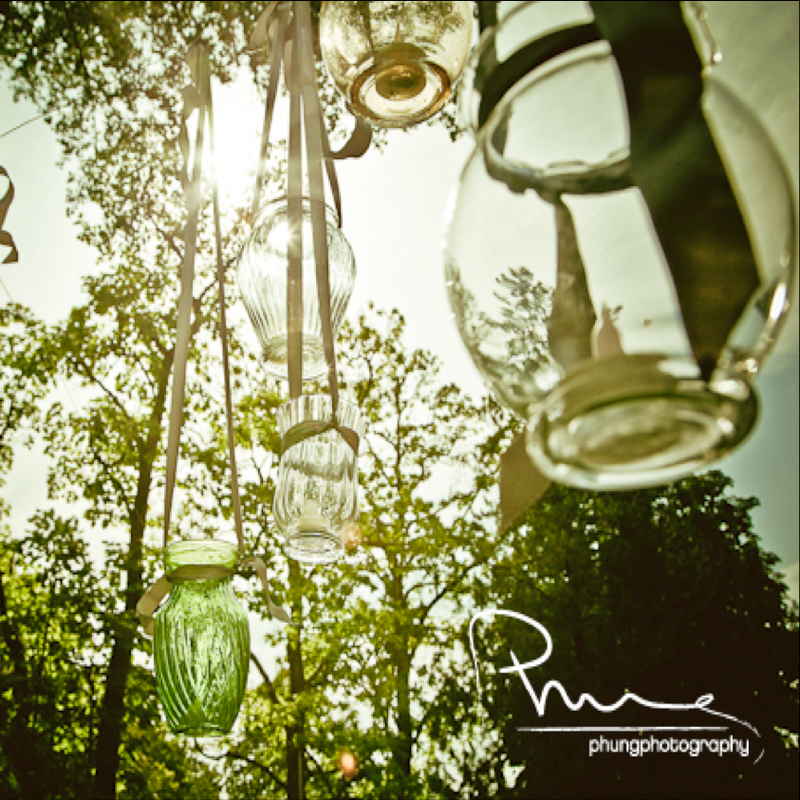 Hang jars of floral arrangements all down the aisle. Sprinkle rose petals down the aisle, or create a beautiful design within rose petals. 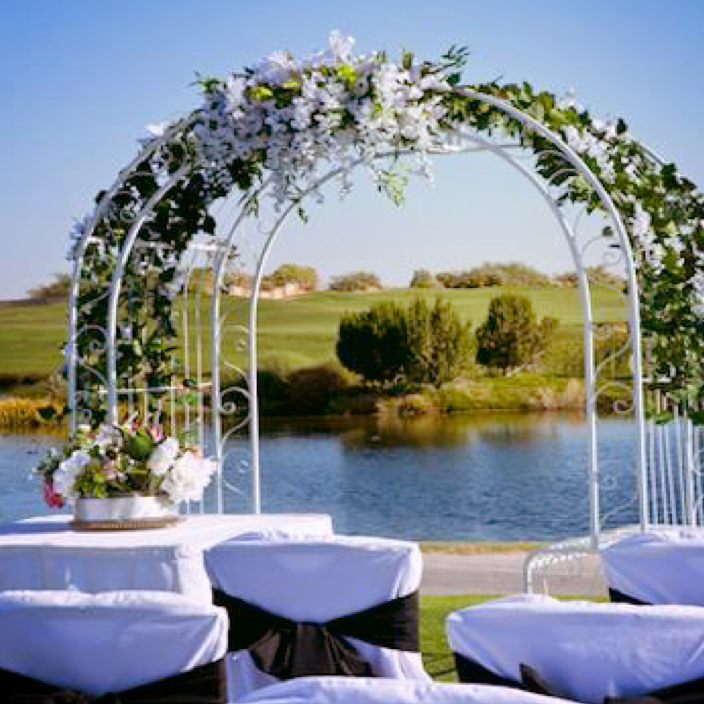 Loop garland of vibrant green flower arrangements down the inside of the seating. 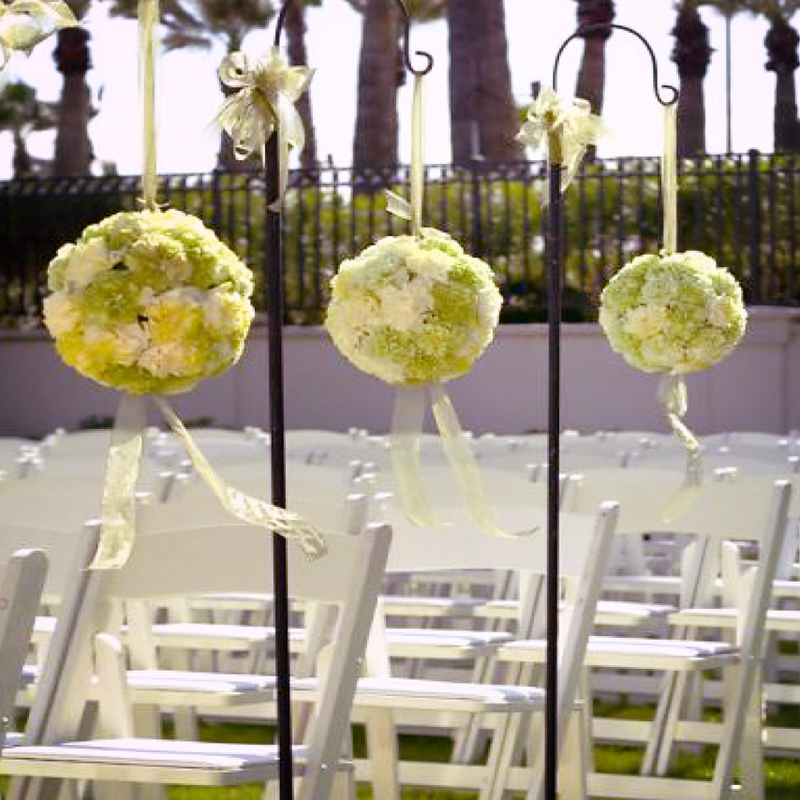 Hang floral balls from modern stands down the aisle. Use light colors like pinks, lavenders, and mint greens. 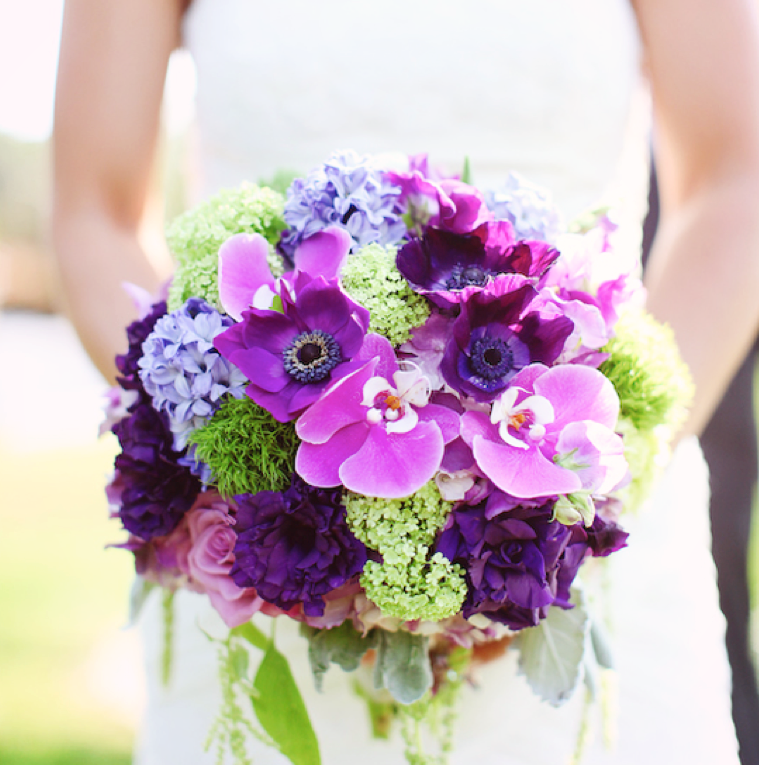 Incorporate bright purples or blues with the light greens to really make the image pop! 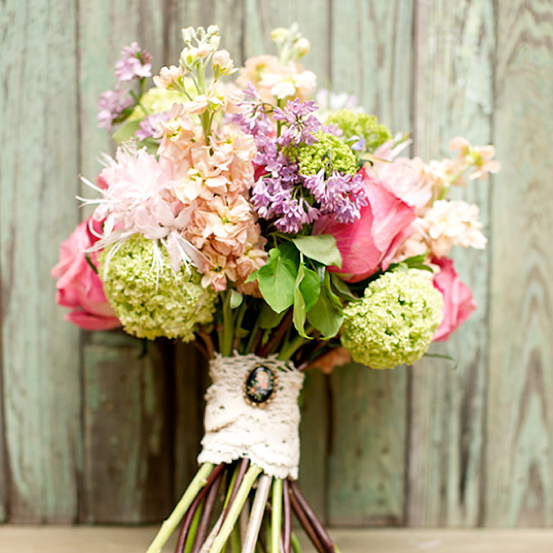 To keep a simple and classy look, stick to white and green floral arrangements.